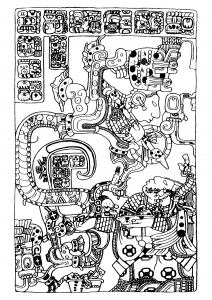 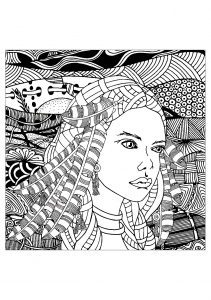 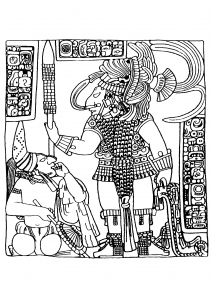 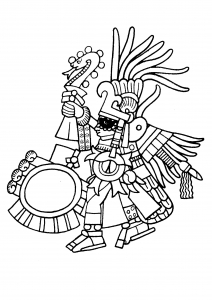 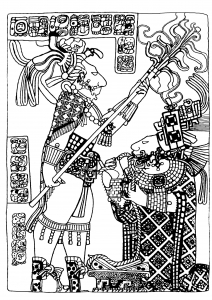 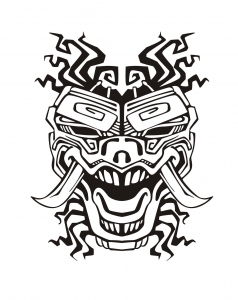 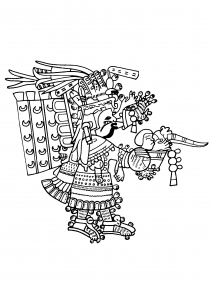 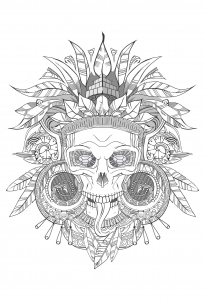 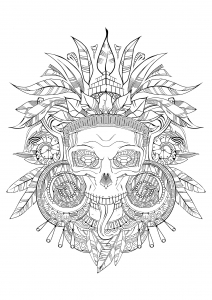 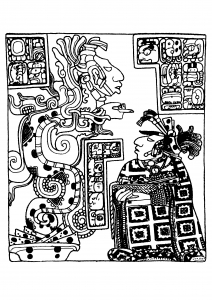 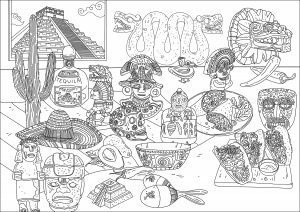 Discover our Coloring pages on the theme of Mayans, Aztecs and Incas. 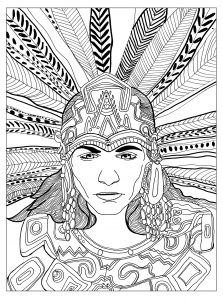 These are the three main Pre-Columbian civilizations : American indigenous who lived in the American continent before the "discovery" of America by Christopher Columbus in 1492. 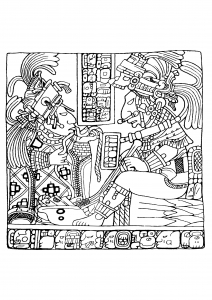 Their religion was Polytheist. 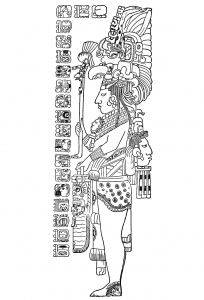 Their gods where represented and linked to nature (for example the Sun God), or to animals (Quetzalcoatl, the "feathered serpent"). 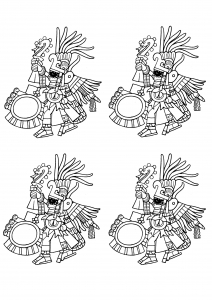 These three civilizations made important advances in math and astronomy ... they even invented the number zero ! 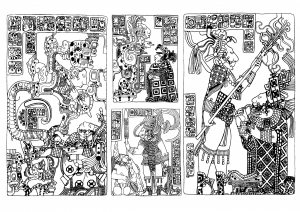 Now feel free to download and print our illustrations linked to Mayans, Aztecs and Incas ! 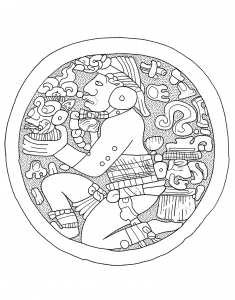 Early Classic Lowland Mayan Ear Flare plaque in the De Young Museum. 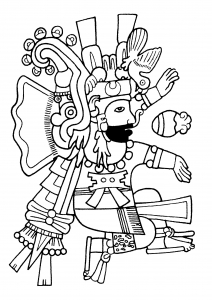 Drawing by N. Carter. 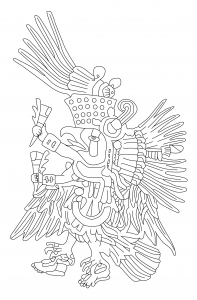 Quetzalcoatl is a Mesoamerican deity whose name comes from the Nahuatl language and means "feathered serpent". 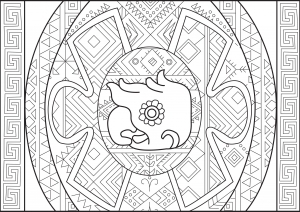 Color it !